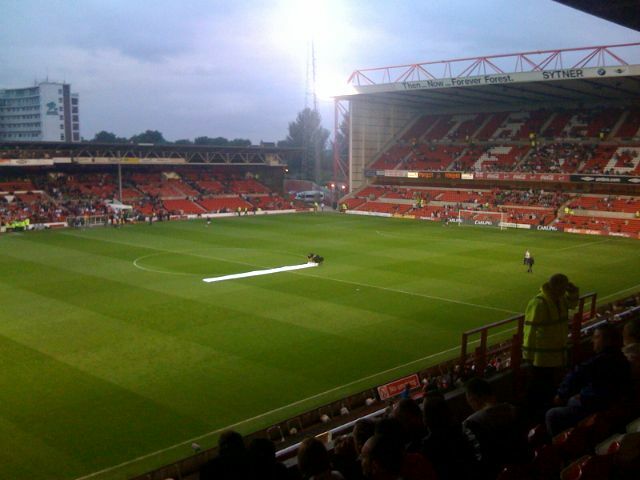 Fascinating City Ground fact.. | Through the seasons before us..
It’s just like watching QI with interesting facts like that…. HMmm….. The wall paper overlaps a quarter of an inch behind me telly, Get a life….. I like that. My little boy is chuffed to bits this season as we’ve moved down in the Trent End and now sit in white seats! (The first two at the very bottom left corner on the E of TRENT) He loves it. 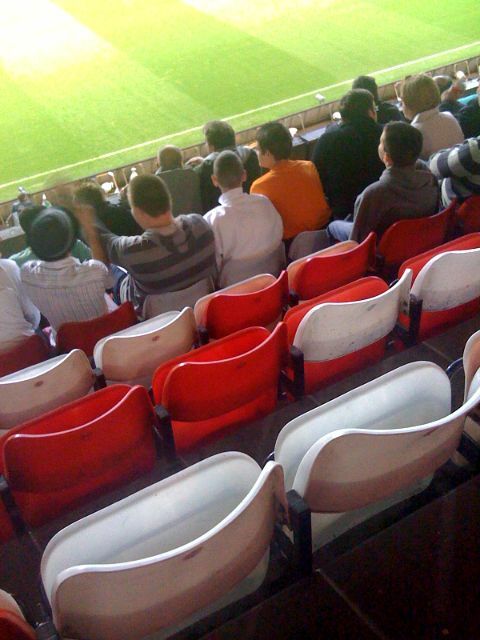 He would love a half red, half white seat even more so I will not be showing him that photo nffc! Sorry it doesn’t quite float your boat, Kev. Radgie, if we get a home draw in the FA Cup you could always relocate to the BC Upper – given the likely pricing and subsequent take-up of tickets I imagine you could easily snag yourselves a “half and half” seat a piece!